May is the month of Superheroes who gives us hope and courage to take on anything that comes as a obstacle or struggle in our lives. They help us rise above ourselves and think of others to create a better world. In all of these Superheroes movies, comics and characters the truth always wins in the end and gives you a hope that you too will be alright if you keep working towards creating a better you. Mad Rob is giving us a chance to be a superhero like him by teaching/guiding/mentoring us to learn arts and crafts in a fun entertaining way. #SUPERHERO month in the Robosphere so Hulk Smash is coming to you in a great way. 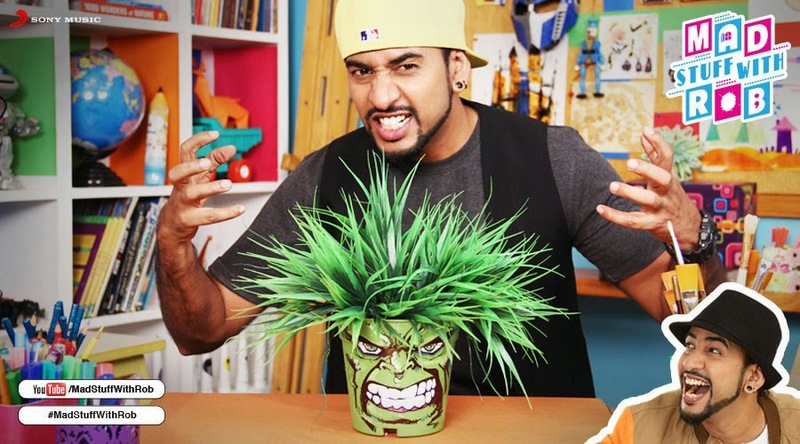 Get your green thumb into monster mode with this super cool Hulk Pot Head. It’s a simply MARVELlous holiday activity as it will make your small garden look great and attractive. 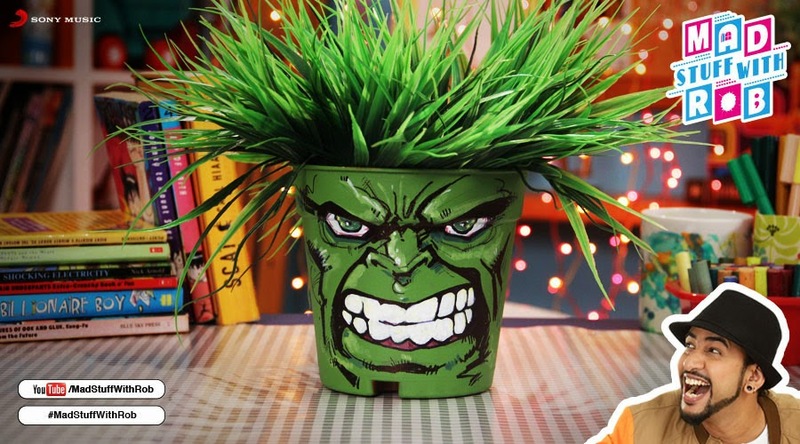 Help Hulk lose his head, plant a crazy fern in there, water it and watch his hair grow all summer! You can also think of other #superhero characters and make your small nursery of flowers look cool in your balcony. This will really make your balcony looks cool as well as full of #Superheroes as this channel will have more videos on arts and crafts related to them in May. Who doesn't want a personal #Superhero models created by himself in his/her room or house? Then don't waste any time and start doing this activity today as it's Sunday and you will have your Hulk by evening ready to be sowed as he turns from bald to crazy green hairs by next sunday! Don't forget to post your pictures after making the stuff at any of these channels by making MAD ROB and who knows you can be famous if he shows your pics on his channel and gives you some encouragement on one of his channels by liking your posts. Hit the subscribe button and get email notification once any new video gets uploaded on Youtube channel of MadStuffWithRob. Thanks to Sony Music Kids Initiative (Sony Music Entertainment India Pvt.Ltd.) for bringing all the arts and crafts fun for everyone around the world.